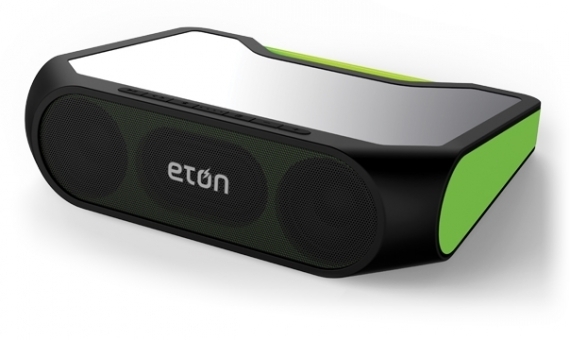 Eton announced Rukus XL, a portable Bluetooth wireless speaker dock with solar panel for charging and eight full-range speaker drivers that produce stereo-quality sound. 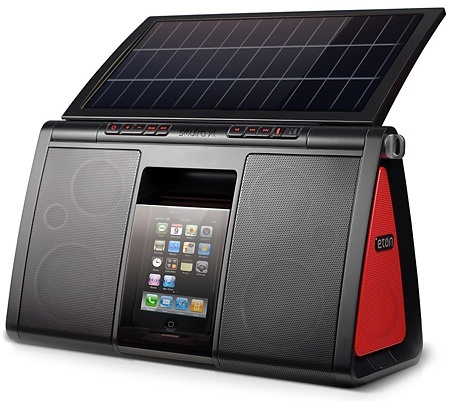 The Rukus XL offers great flexibility to play music that can fill any indoor or outdoor space while simultaneously charging your mobile device to ensure you never run out of power. 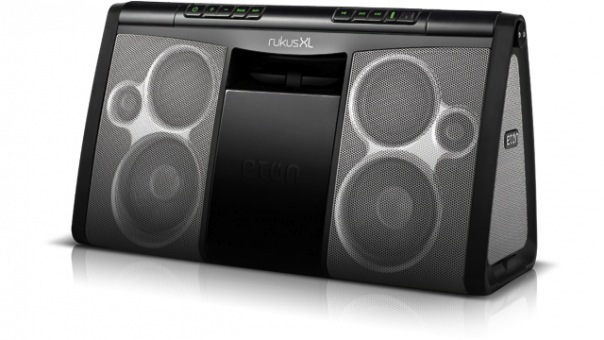 Producing 22-watt of stereo sound, Rukus XL integrates two tweeters, two woofers and four passive radiators, plus the addition of a bass boost button, will ensure that every booming low and soaring high is heard in crystal clear sound. 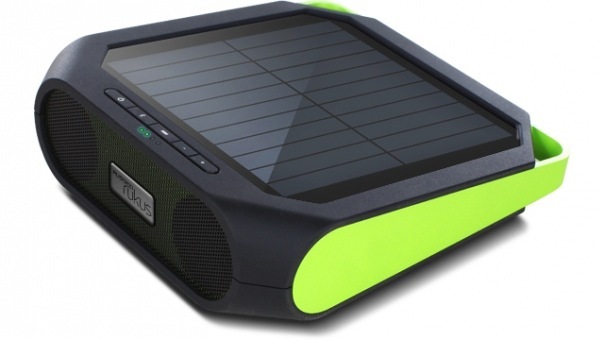 To keep the music playing all day long, Rukus XL enables you to recharge the internal lithium-ion battery via the massive, efficient 72-square-inch monocrystal solar panel – five hours of charging time will enable you to stream music continuously day or night. 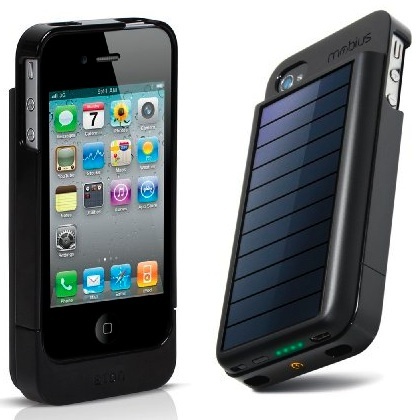 Rukus XL can also be charged via a convenient AC adapter. 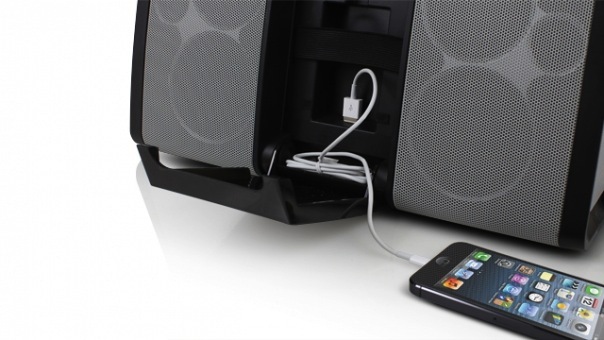 Designed for maximum portability and big, high-quality sound, Rukus XL also features built-in mobile device storage net and an integrated carrying handle. 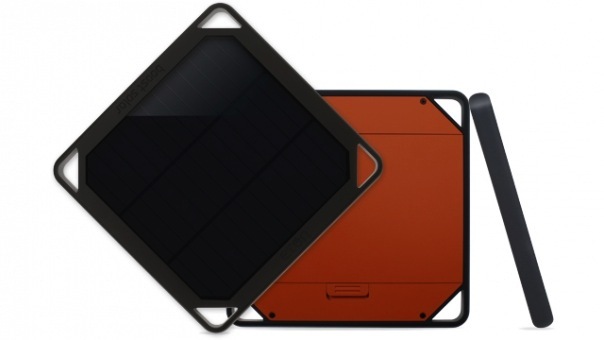 The company says it also offers one-touch device pairing. 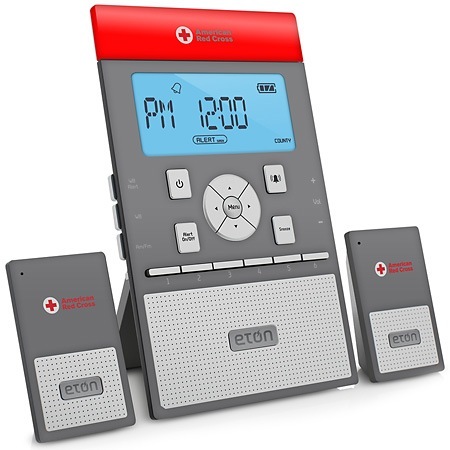 The Eton Rukus XL will be available early Q2 2013 for $199.99.